“There were problems in the beginning, but Samridhi progressed because of its concept and the zeal to take home made ‘achars and chutneys’ direct to customers. 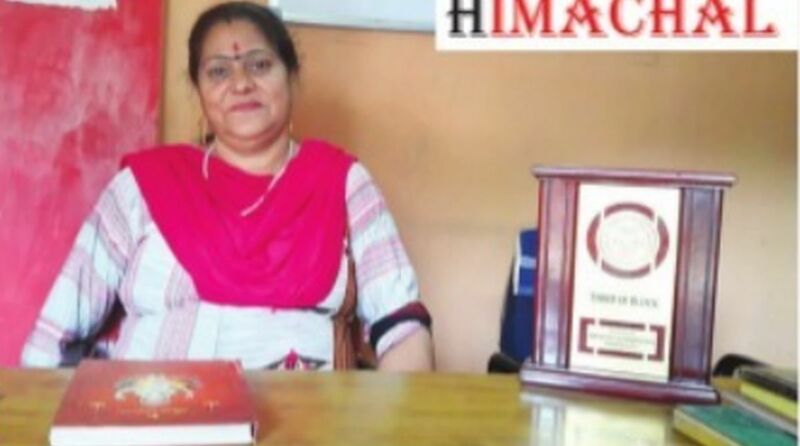 Samridhi Mahila Cooperative Society, which scripted a success story for poor village women in Kangra district of Himachal Pradesh by empowering them financially over the last two decades, has hit a roadblock. Samridhi, which took off as a small programme of Indo-German Changar Project for rural women had ultimately shaped into an independent cooperative society of women at a time when there were no such ventures. It works to provide additional income opportunities to women producers through a self owned and managed cooperative for the capacity building of SHGs (self help groups). The women’s cooperative society is based at Thakurdwara near Palampur and has been making pickles and chutneys of locally available nutritious fruits and vegetables, like amla, bamboo, ginger, ghandiali, dhiyun and ferns, sourced from farms and forests. One of the objectives of Samridhi is to promote sustainable harvesting of the local non-timber forest products such as amla, wild mango, bamboo, etc., and to provide fresh products to the consumer. An organisation of ten women producer groups from villages at present, Samridhi sells all its products under the brand name Changar’s. A pioneering pickle brand, Changar’s products are popular across the state for their ‘homely’ taste and ‘traditional’ base. Changar’s pickles created a loyal consumer base in many parts of Himachal with their range of local items, which are not available in the market. ‘We prefer Changar’s pickles as they are made with traditional process of using quality mustard oil, which is healthier and has a longer shelf life,” said some local residents. Samridhi launched the concept of direct sale long back, carrying the products in vans to make them available to people at particular spots, which they found easy to pick up, like outside offices or institutions of any kind, which involved challenges but picked up as the products got popular. However, the cooperative society is now facing hurdles with the increase in competition. The concept of selling vans, which they pioneered, is getting common with many other local producers following suit. They also face logistical problems. However, of late, despite the fact that we offer totally different set of chutneys and pickles, our sales are going down very badly. Probably, it is time to innovate again,” said Veena Devi, who heads Samridhi Mahila Cooperative Society. Veena Devi joined the cooperative 18 years back. “I have seen the growth as well as downfall of our organisation. “In 2009 and 2010 the sales were of Rs 28,61,349.70 and Rs 31,90,982.29 respectively and the profit came to be maximum till now At present it has decreased to one third of it and we are at a loss,’ said accountant Santosh Kumari. Initially, there were 450 women who processed locally grown fruits and vegetables sourced from forests and farms situated near their villages. At present the number of women involved has dropped to 250. Rahul Saxena, an employee with Samridhi Mahila Cooperative Society said, “The decline in sales is because access to space has decreased. Previously, it was very easy to park the van in front of offices and institutes for example in Shimla or other towns, which has become difficult now because various permissions are required. Therefore direct selling becomes difficult. Another reason is the erratic weather which is making the transportation of products difficult.” He said entry of new players in the market who are selling similar products at low prices has also harmed Samridhi’s business. But Samridhi, which has emerged as a role model of rural women empowerment using naturally abundant resources, while inspiring many studies and similar initiatives in HP, is not ready to give up. While the Samridhi members now sell products door to door by visiting offices, rather than keeping them in a van outside offices, it already has a revival plan up its sleeves “We are working to get fresh blood in Samridhi by involving young people. The achars and chutneys do have additional nutritive value, But we are now opening up to the idea of growing nutritious and healthy foods in the fields by farmers. For that we have prepared a list of traditional foods, and will educate and train the farmers on that,” said Saxena.